Handlebar Mustache: Interbike MUSTACHE CONTEST! Our friend @SDvelosocial had a great idea while visiting our booth at Interbike. 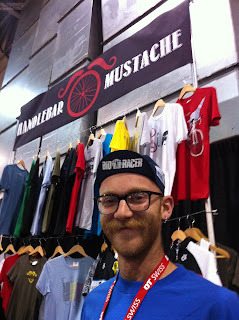 We should have a Mustache Contest for those attending Interbike. So here you go! We have the photo's numbered and the voting is on the right side. Fire away! Best Stache a prize!